Paul Hsieh Forbes Column: Who Decides What Medical Care You Receive At End of Life? 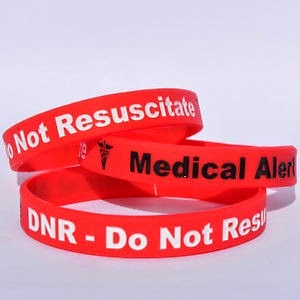 I discuss how some patients in the socialized medical systems of Canada and the UK have been put on DNR (“do not resuscitate”) status without their knowledge or consent and how that ties to the current debate over government-funded end-of-life counseling here in the US. As I’ve said before: If you expect “somebody else” to pay for your health care, then “somebody else” will ultimately decide what care you may (or may not) receive. I also discuss how free-market reforms for health insurance can allow patients to retain control over their end-of-life medical decision making and protect Americans from those gut-wrenching problems faced by patients in Canada and the UK. And for some excellent practical advice on how patients can plan for such eventualities, check out this interview with Dr. William Dale by Diana. My latest Forbes piece is now up: “No, Gun Violence Is Not a ‘Public Health’ Issue“. Although I think gun crime should not be shoehorned into the category “public health”, I recognize that others may disagree. In that case, lives saved by allowing concealed carry should be just as much of the “public health” discussion as lives lost to gun violence. 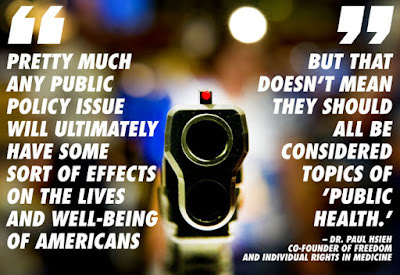 For more details on each of the four points above, see the full text of “No, Gun Violence Is Not a ‘Public Health’ Issue“. The whole column is ideologically loaded from start to finish. It’s worth reading — or reading as much of it as you can — to see why these kinds of super-charged writings (as too many Objectivists and libertarians tend to produce) are so pointless and off-putting. My view of the “save traditional marriage” crowd is now even lower than before I clicked. I don’t think that’s a win for their side. On Thursday’s Philosophy in Action Radio, I’ll discuss the “three languages of politics” with my own Paul Hsieh. The concept is not original to Paul, but rather the work of economist Arnold Kling. If you’re at all interested in politics and political debate, you’ll surely profit from our discussion. If you’re like Paul and me, you’ll find that the “three languages” reframes your whole view of political debates in America today. Plus, that conceptual framework helps you become a more sympathetic listener to other people’s political views — and more persuasive in discussions with them — very quickly. That seems like a win to me! If you’d like to read a bit about the three languages before or after Thursday’s interview, check out this podcast with Arnold Kling on EconTalk. Also, Kling’s monograph — aptly titled The Three Languages of Politics — is available on Amazon for just $1.99.